History: Purchased by Marcin Cimala in Tantan, January 2015. 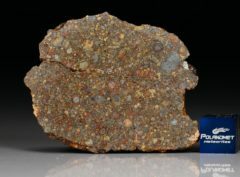 Physical characteristics: Single stone with weathered exterior. 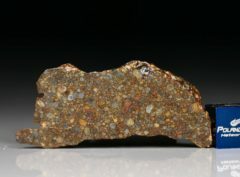 Saw cuts shows many densely packed chondrules set in dark-brown matrix. 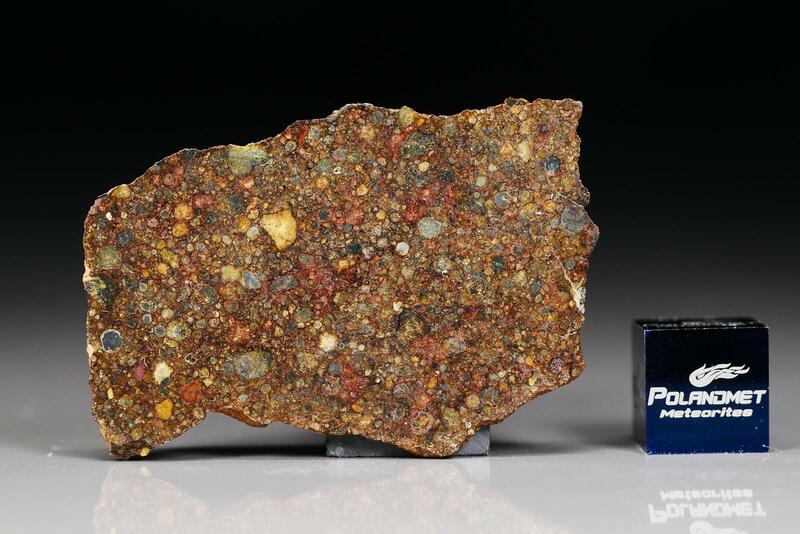 Petrography: (C. Agee, UNM) Microprobe examination of a polished mount shows numerous porphyritic chondrules, most with mesostasis or glass. 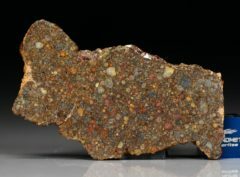 Abundant opaque matrix. 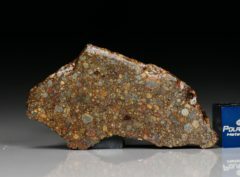 Apparent mean chondrule diameter 594±227 μm, n=18. 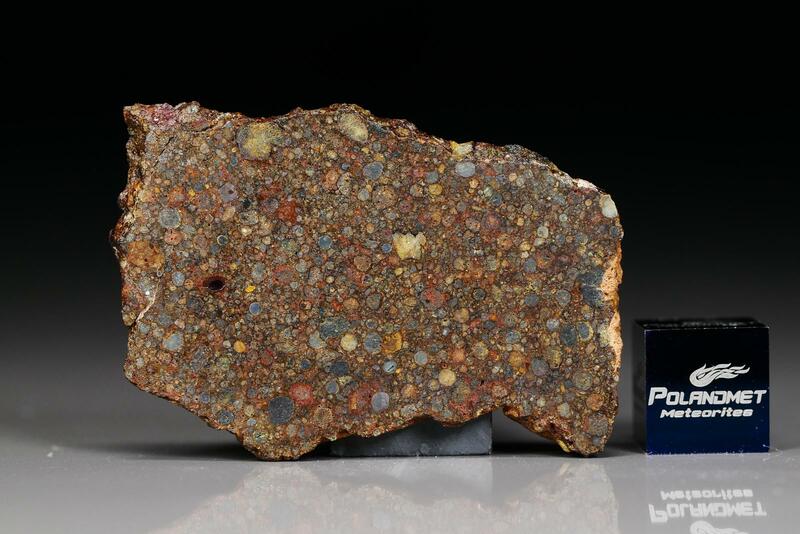 Geochemistry: (C. Agee and N. Muttik, UNM) Chondrule olivine Fa19.5±10.1, Cr2O3=0.19±0.17 (wt%), n=30; chondrule low-Ca pyroxene Fs12.7±8.0Wo0.5±0.4, n=12. 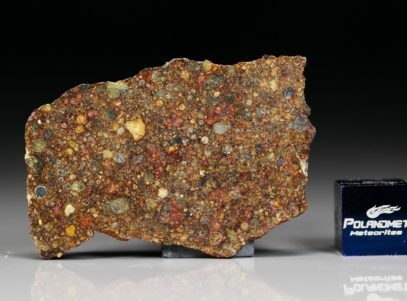 Classification: Ordinary chondrite (L3.15), subtype 3.15 based on mean values of Fa and Fs and 1-sigma standard deviation, and on the ferroan olivine mean value of Cr2O3 and 1-sigma standard deviation (Grossman and Brearley, 2005).